This is a photo of the riotous street party held in Masons Road, Adeyfield, Hemel Hempstead. I know the Queen was not there, but my Dad was, he is the one standing with the cup to his lips. He was known as Jack (Lee), but who are the others? If you know please comment. 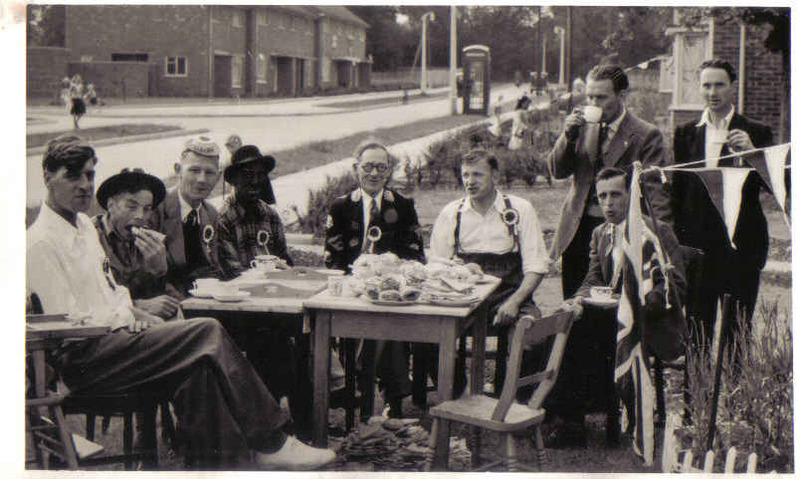 I am pretty sure that the man 3rd left is Gordon (Snowy) Murgatroyd, he & his wife May lived at no.64.